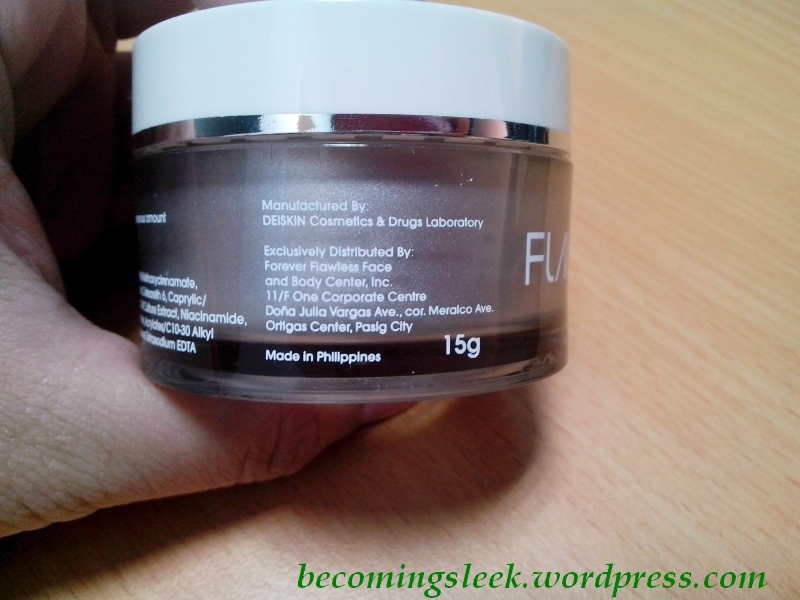 One of my favorite booths at the recently concluded Blogapalooza 2014 was the one by Flawless. Their booth people are friendly, and the activity was short but fun. After registering at the booth, participants are given three standard darts to try and pop “zits” (balloons). I think each successful pop will net you a loot bag. Something better will probably happen if you were able to pop balloons with all three of your darts. I got two, so I got two loot bags. 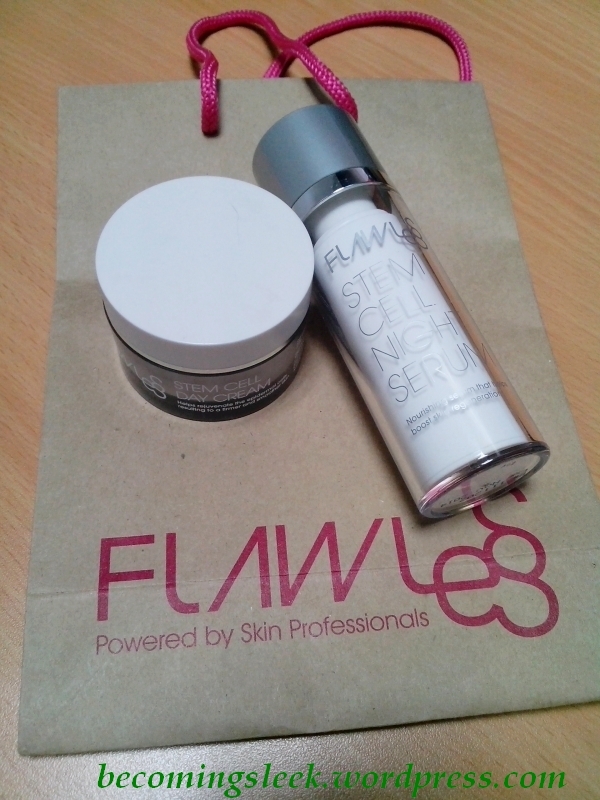 Each loot bag contained full sizes of the Flawless Stem Cell line’s Day Cream and Night Serum. 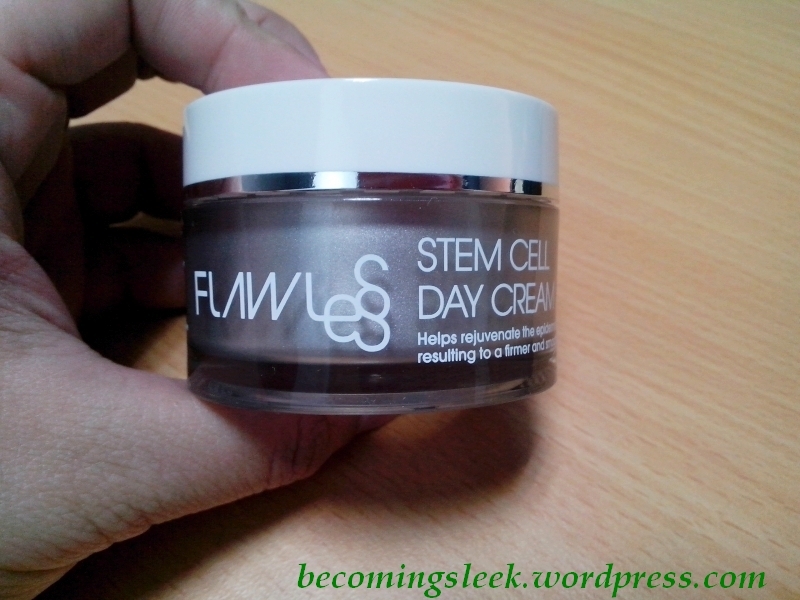 Let’s first take a look at the Day Cream. 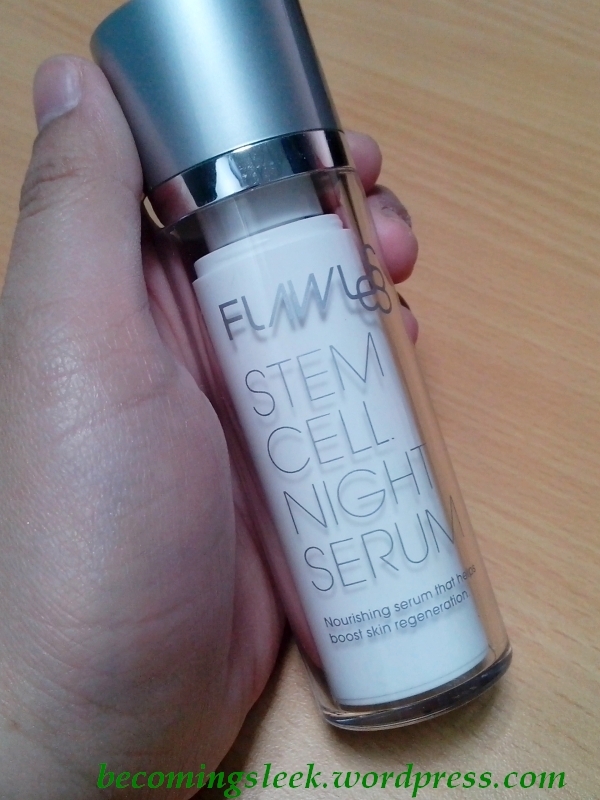 It comes in a white-and-silver theme as with the whole Stem Cell line I think. 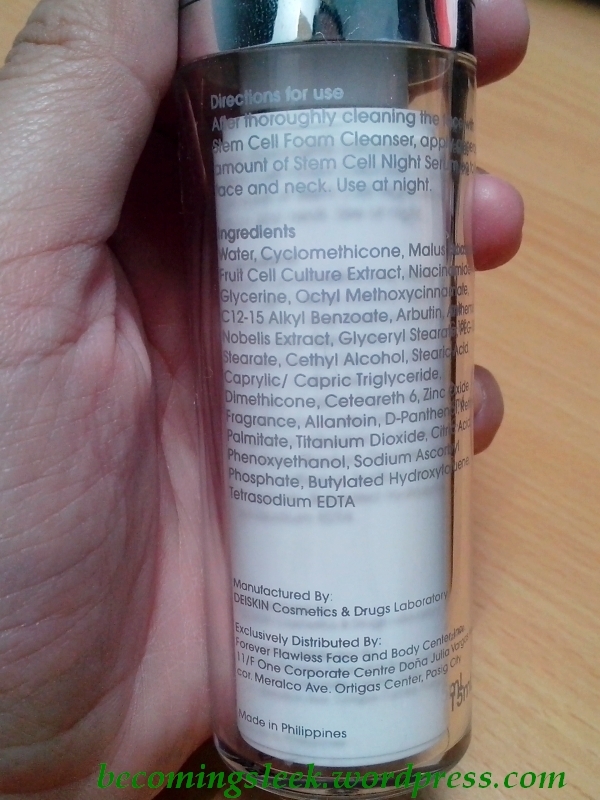 The list of ingredients as well as manufacturer information are printed at the back. It also indicates here that the tub contains 15 grams of product. It is made in the Philippines, which is always a good thing in my book. The expiry information is found at the bottom of the tub (not pictured). When you open it up there is a plastic protecting inner lid before you see the actual product. This keeps things hygienic, although of course it always helps if your hands are clean before applying this. 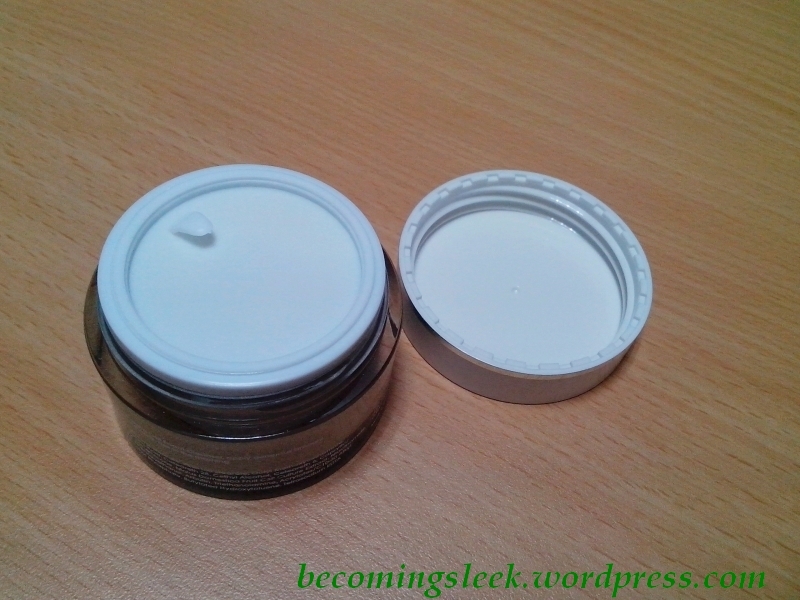 After removing the inner lid you’ll see the actual day cream. 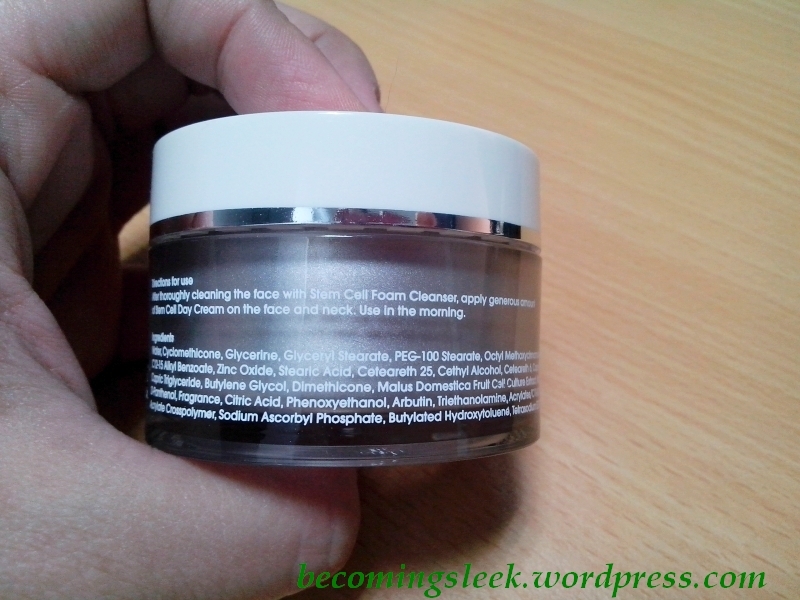 This is one of the densest and firmest creams I’ve ever tried. Both of my tubs of day cream have this consistency. 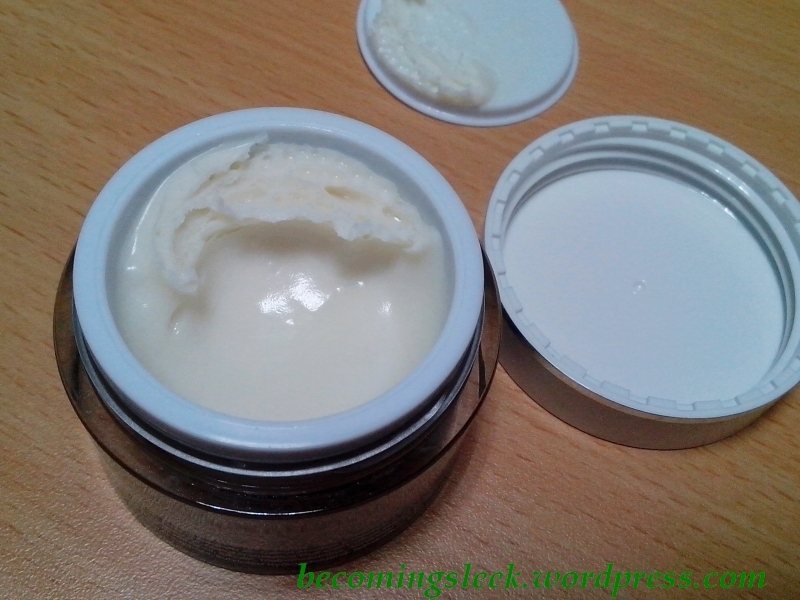 It makes it a little hard to apply onto the face, but it warms and softens up when applied with fingers. I have only used it for maybe a week so I haven’t seen any big improvements yet, but it does keep my face moisturized. Now we come to the Night Serum. Again it comes in that same packaging theme of white-and-silver. This is actually just a plastic bottle but it looks more luxe than it feels. Ingredients and manufacturing information are at the back. This contains 15ml of product. 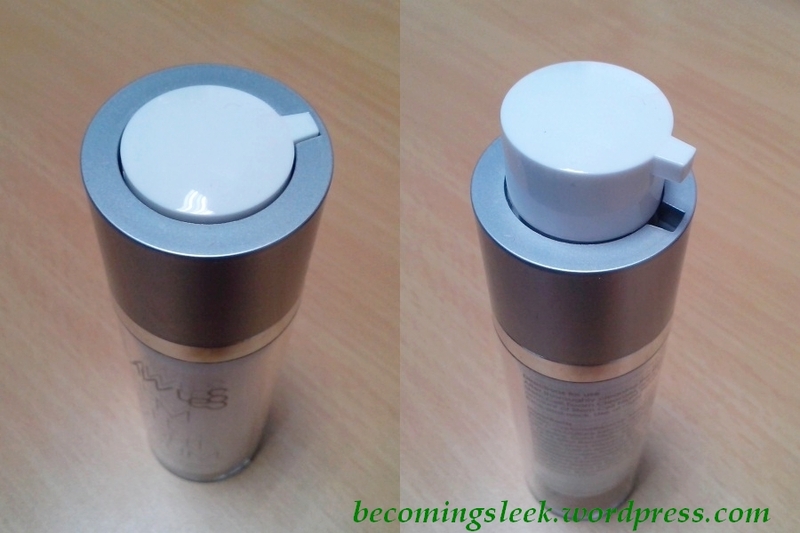 What I like about this bottle is the pump mechanism. The pump itself is depressed into the tube, and you can reveal it by twisting the upper portion until the pump emerges. At that point you can use it the usual way that pumps are used. It does have a tendency to twist back down, so one has to be careful with that. Here is a tiny amount of serum. It has a good consistency, not very watery nor too thick either. I use this with my night routine, after the Etude House Moistfull Collagen Essence, but before the ZA Perfect Solution Restoring Collagen Cream. 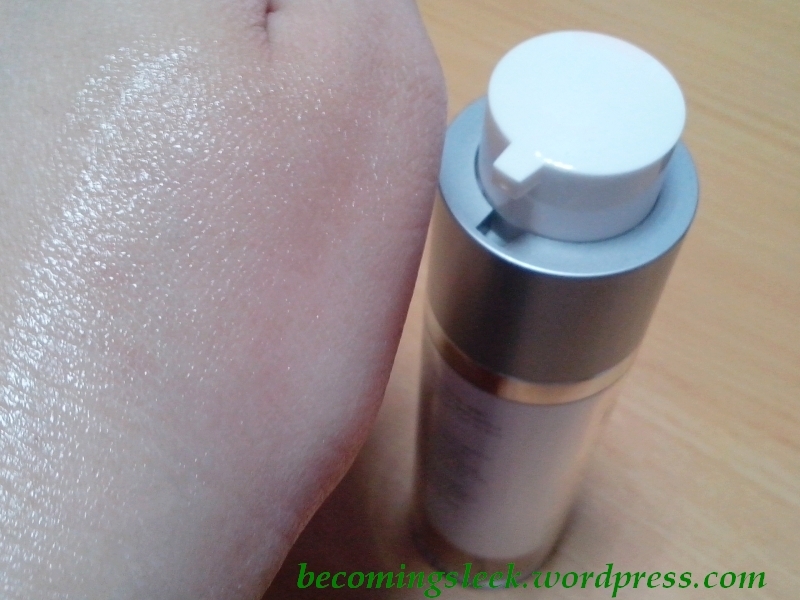 I like how this feels on my skin, but it takes a bit of time absorbing compared to Japanese/Korean products. 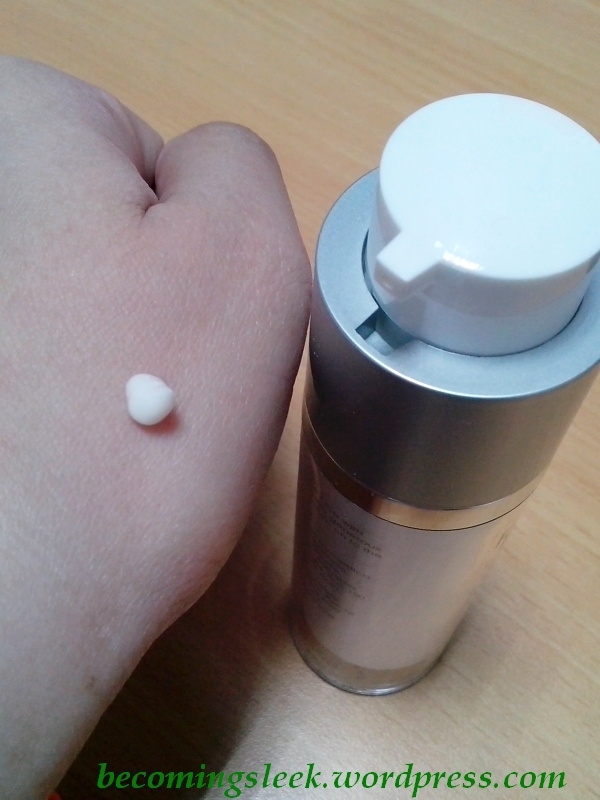 Here is the same serum, blended. This is the stage where it’s newly smoothened out on the skin and not yet absorbed. These products is available at Flawless beauty centers and at their website.